﻿Wedding invitations modern chic in style coming in a pocket wallet design in natural beige colour and white postcard insert with a slip, for the reception card or the wedding list gift card. 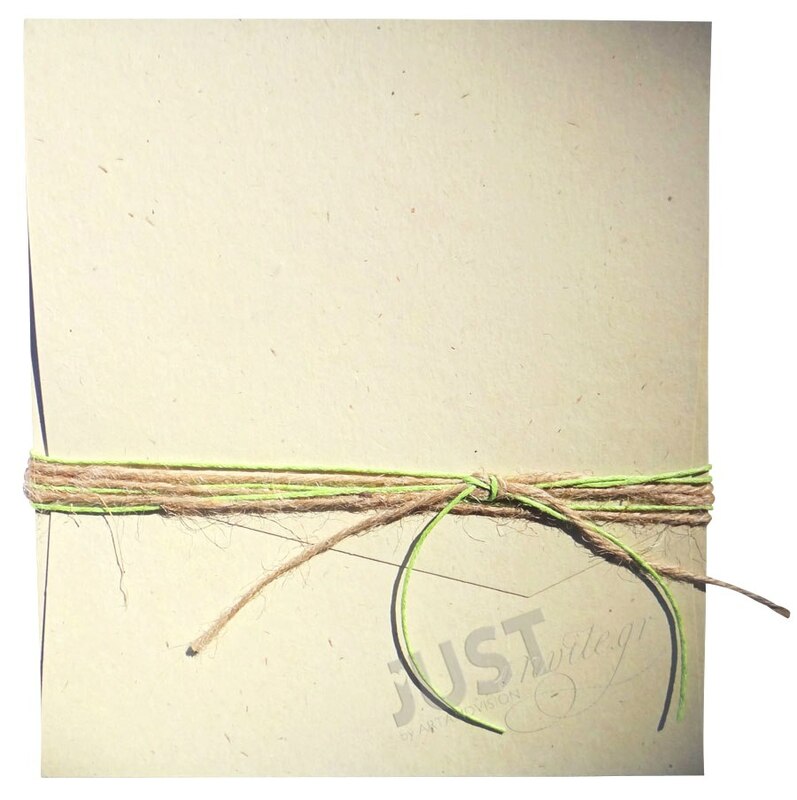 Ideal for weddings in the countryside and a match with canvas favours .The design is finished with twine and chartreuse green cotton thread. Your personalised invite is printed in plain brown foil. Size: 19 x 17 cm. 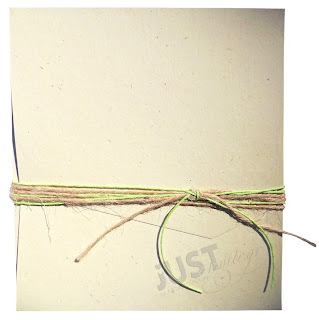 https://www.preciousandpretty.com/2013/03/modern-invitation-for-country-wedding.html Greek Wedding Favors|Orthodox Crowns|Stefana|Baptism Invitations Modern invitation for country wedding A1226 Modern invitation for country wedding A1226 by Greek Wedding Favors|Orthodox Crowns|Stefana|Baptism Invitations Product #: Greek Wedding Favors|Orthodox Crowns|Stefana|Baptism Invitations_2562473645897357776 5 stars out of 5 reviews.